Despite having grown up during the PlayStation 2 days, my early gaming years were with the SNES. My mother grew up with an SNES, and she passed it along for me to play before we even got a PlayStation 2. In fact, one of the first RPGs I ever played was the original Final Fantasy VI. As such, I have a very positive inclination towards games with older RPG styles. When I saw 8-Bit Adventures 2 featured charm in the vein of Final Fantasy V, I knew I had to check out the demo for it. Let’s find out what it has to offer. Once the demo properly begins, you are greeted by Save Point, who details that you are chasing after the Glitch. 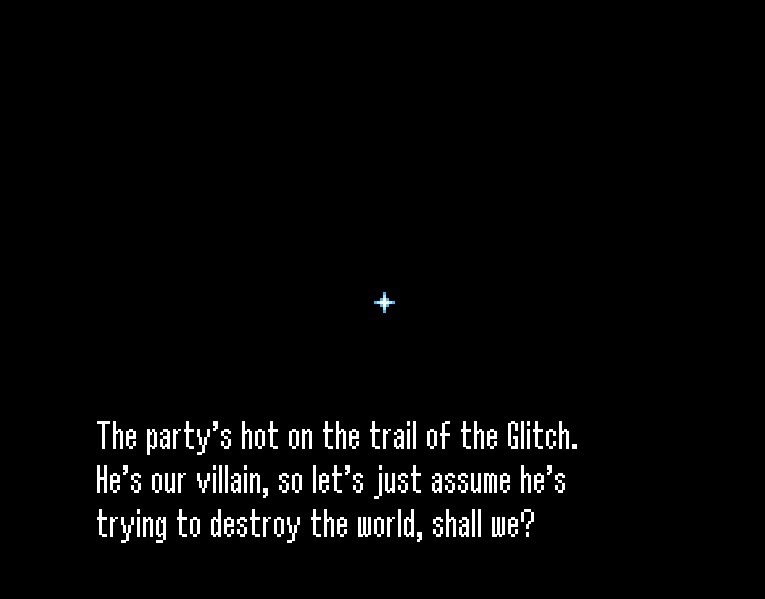 The Glitch is a menace to the world, so your party must stop it. The first area is a city where you face some robots beating up another robot. You fight the aggressors once they target your party and wipe them out. Then a tank approaches, and the friendly robot assists you. You head northwest to the train station where you avoid ambushes by the robots in order to reach the Processor, where the Glitch resides. Upon arrival at the end of the Processor, you fight a boss whose defeat ends the demo. To be honest, most of the dialogue featured in the demo was lackluster. Much of the time it is simply characters pointing out an event or saying what they must do. The only time this was alleviated was when the party encountered the Glitch, where there was actual interaction between characters. In fact, that interaction itself was rather enjoyable since the Glitch is a trollish kind of villain, preferring to mess with the characters because it’s hilarious. 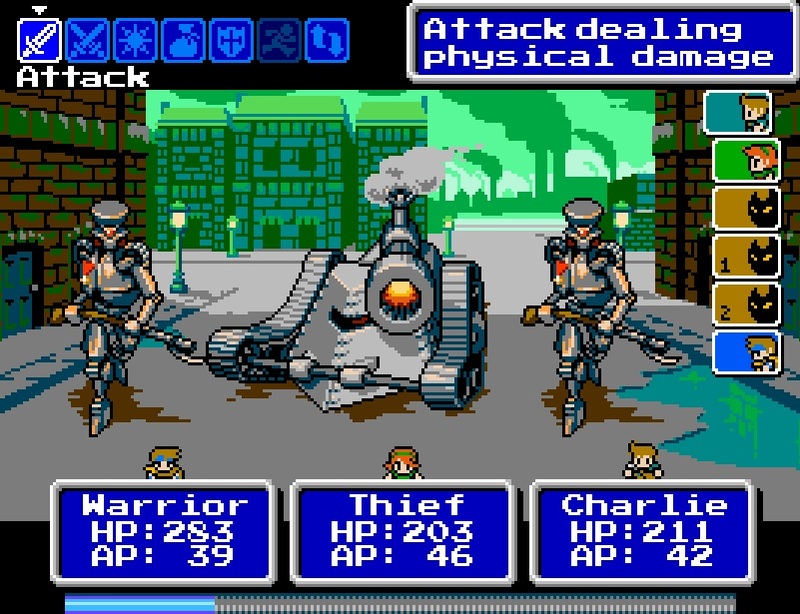 Graphically, the game greatly resembles early Final Fantasy games on the NES, with detail closer to Final Fantasy V. This translates into the animations out of battle, as they are limited but similar to the SNES trilogy. The music however is not that great. The soundtrack tries to replicate the NES sound chip. Although it succeeds, it doesn’t mimic the quality of the sound chip. There are a lot of brash sounds, particularly when someone rubs sandpaper on any surface with a fraction of friction. The combat is very straightforward and easy to understand. Once someone’s turn comes up, they can use normal attacks, their special ability, or their personal abilities. Abilities such as Aim are also similar to certain abilities in Final Fantasy. However, there is also some Dragon Quest 6 influence, as even physical characters get abilities such as First Aid and Rend that cost MP. The robot is a special character because it gets equippable abilities. Essentially, it has three special abilities that cost no MP, which is unique to this character. As for the other characters, there is the standard warrior, thief, and monk. The party can only allow three characters at a time in battle. However, they can be swapped at any time and take their turn as well. This alone allows strategies not normally capable in classic RPGs. Though due to the simplicity of the demo, enemy strategies were kept very straightforward. Hopefully in the full release, enemies can have abilities with swapping in mind. My least favorite part of the demo was the exploration. The city is very open, with a large amount of area to cover between individual sections and very little to show. All there is to find are treasure chests. The train meanwhile was completely linear, while the Processor behaved exactly like classic RPG dungeons. The latter was technically linear but featured alternate paths for treasure. If there was more to find and do in the city, such as NPCs or even shops, this would be much less of an issue. 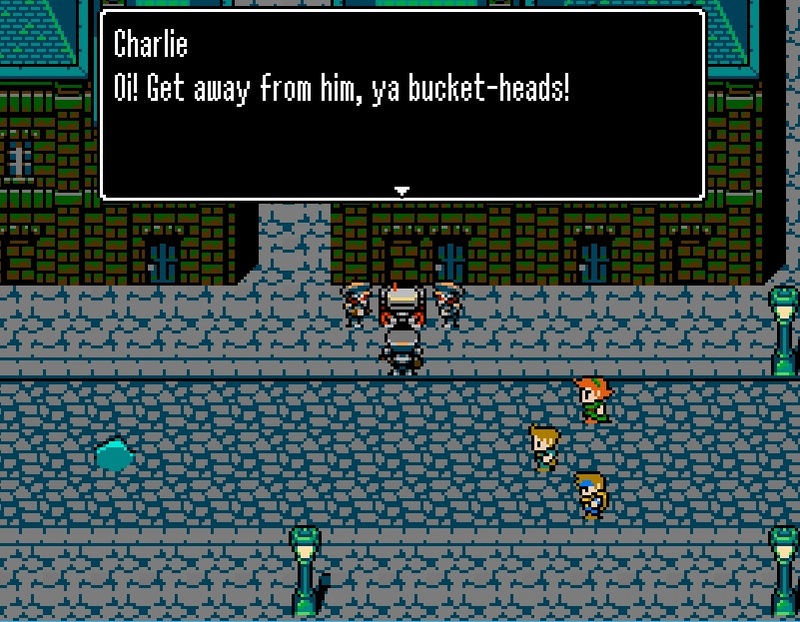 Overall, the demo seems to feature a rather straightforward retro-inspired RPG by Critical Games. There were other annoyances such as the lack of a run button or the ability to fast forward dialogue. It thankfully seems to avoid the common pitfalls of games back then such as obscure direction or a plethora of useless abilities. I had a decent time with the thirty minute demo, and I hope it will improve and develop its own identity. 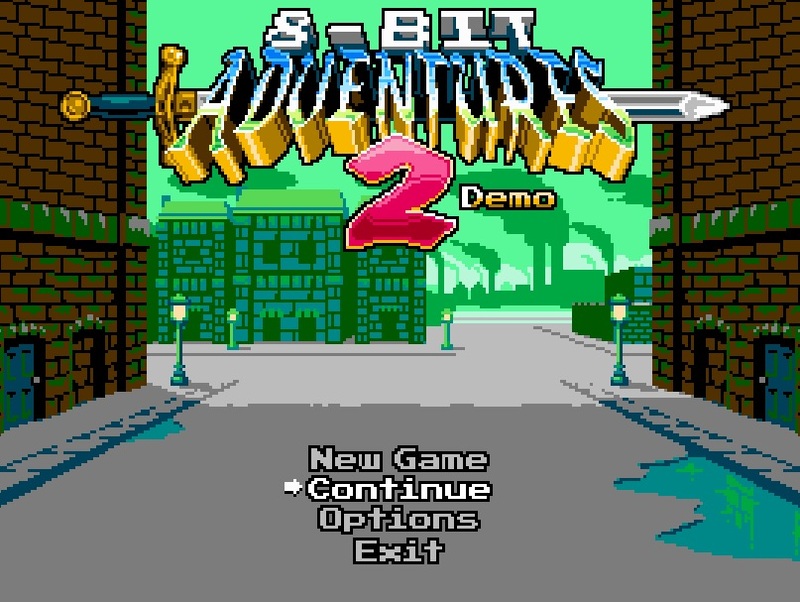 Hopefully in the full game, Critical Games can show what 8-Bit Adventures 2 is truly capable of.